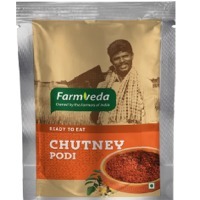 Chutney Powder are a kind of chutney which are in dry powdered form. Short on time? 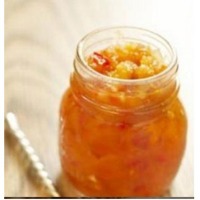 Let chutney sellers contact you. 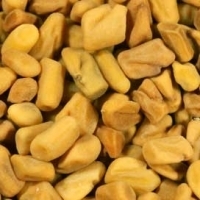 Fenugreek, an indian spice is a slender annual herb of the pea family (Fabaceae). It was used by the ancient Egyptians and is mentioned in medical writings in their tombs. The Romans grew it as fodder for their cattles. Historically, the main usage of fenugreek seeds was medicinal rather than as a labour. The botanical name trigonella refers to the angular seeds and foenum graecum translates as 'Greek hay', which explains its use as cattle feeds. This robust herb has light green leaves, is 30-60 cm tall and produces slender, beaked pods, 10-15 cm long, each pod contains 10-20 small hard yellowish brown seeds, which are smooth and oblong, about 3mm long, each grooved across one corner, giving them a hooked appearance. 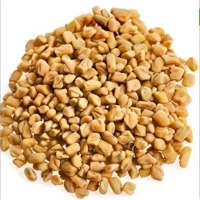 Fenugreek whole is a native of South Eastern Europe and West Asia, now cultivated in India, Argentina, Egypt and Mediterranean countries (Southern France, Morocco and Lebanon). It is a cold season crop and is fairly tolerant to frost and very low temperature. The herb is a characteristic ingredient in some curries and chutneys and the fenugreek extract is used to make imitation maple syrup. 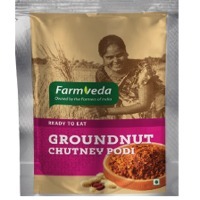 Owing to its high nutritive contents, it is an important ingredient used in vegetable and dal dishes consumed in India. Uses : The herb is a characteristic ingredient in some curries and chutneys and the fenugreek extract is used to make imitation maple syrup. Because of its high nutritive contents, it is an important ingredient in vegetable and dhal dishes eaten in India. In India, young fenugreek plants are used as a pot herb. The leaves are widely used, fresh or dried, in Indian cooking and are often combined with vegetables. Fenugreek seeds are used in a wide range of home-made or commercial curry powders. In northern Africa the plants are used for fodder. Fenugreek Seeds (Methi) : Fenugreek, popularly known as methi in several regions of India, is extensively used both as a condiment and a herb. Having originated in Asia and Mediterranean regions, it is greatly valued in India, Egypt, Greece and Italy for its flavouring and medicinal properties. In India, Rajasthan, Gujarat, Maharashtra, Madhya Pradesh, Uttar Pradesh and Punjab are the leading states involved in fenugreek cultivation. This robust herb has light green leaves, is 30-60 cms tall and produces slender, beaked pods, 10-15 cm long. Each pod contains 10-20 small hard yellowish-brown seeds, which are smooth and oblong, about 3mm long, each grooved across one corner, giving them a hooked appearance. In India, it is grown extensively in Rajasthan, Gujarat, Madhya Pradesh, Uttar Pradesh, Maharashtra and Punjab. It is a cold season crop and is fairly tolerant to frost and very low temperature. The herb is a characteristic ingredient in some curries and chutneys and the fenugreek extract is used to make imitation maple syrup. 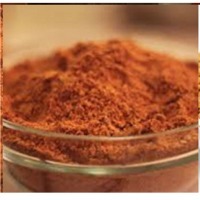 Owing to its high nutritive contents, it is an important ingredient used in vegetable and dal dishes consumed in India.